You can turn to Renewal by Andersen® of New Jersey-New York Metro for your replacement door needs. 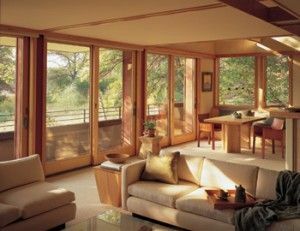 We offer both Andersen® French doors and sliding patio doors for New Jersey and New York homeowners, and will work closely with you to choose the right fit for your home. Patio doors open up your home to your outdoor living space. Whether that means a patio, a deck, a garden, or simply your lawn, your patio doors give you access to a whole new environment. If they are in disrepair, sticking and difficult to open and close, that access is restricted. Replacing your aging patio doors with new, Andersen patio doors can help make your outdoor space more inviting for you and your guests. 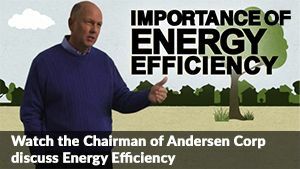 Andersen patio doors offer far more than just energy efficiency. They offer lasting and detailed beauty, the kind of craftsmanship that can only come from Andersen. Their French patio doors offer a traditional French style with modern advances in materials that will keep them looking good and performing well for years to come. And their sliding patio doors offer a low-maintenance functionality that is unmatched by any other sliding door on the market. To learn more about Andersen doors and to schedule a free, no obligation consultation on patio doors in New Jersey, call us at (908) 497-1020 or fill out our convenient online request an estimate form today!